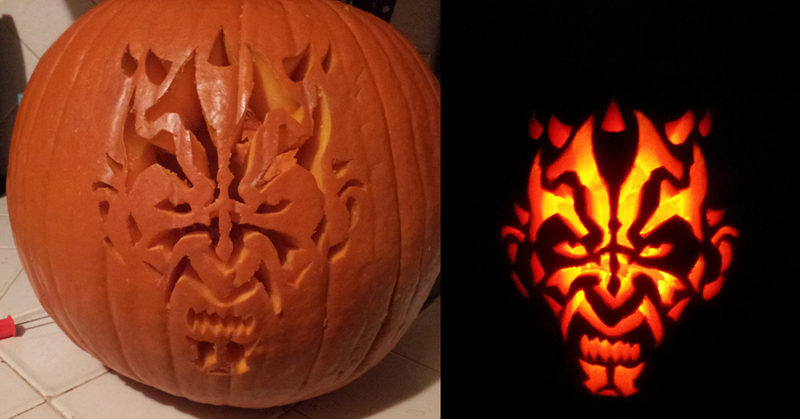 This was my first pumpkin carving. Im pleased with it but it took forever. That is a very ambitious first.